Does your dog shy away from new people? Does your dog bark at people and/or dogs? Does your dog act aggressive when scared? Are you scared to take your dog in public? Do they struggle with vet care or grooming? Then an appropropriate group class to boost confidence may be a fit and/or private coaching in-home or at our facility in Lawrenceville. Are you embarrassed taking your dog out with you to public places?Does your dog seem to lose his/her mind when seeing another dog, person or other trigger? Is your dog suffering from leash frustration? Then this is the all inclusive program for you! Is your dog shy or fearful or gets worried or anxious about people, dogs or other environmental stimuli? Boost your dog’s confidence and help him overcome his fear in this wonderful course! 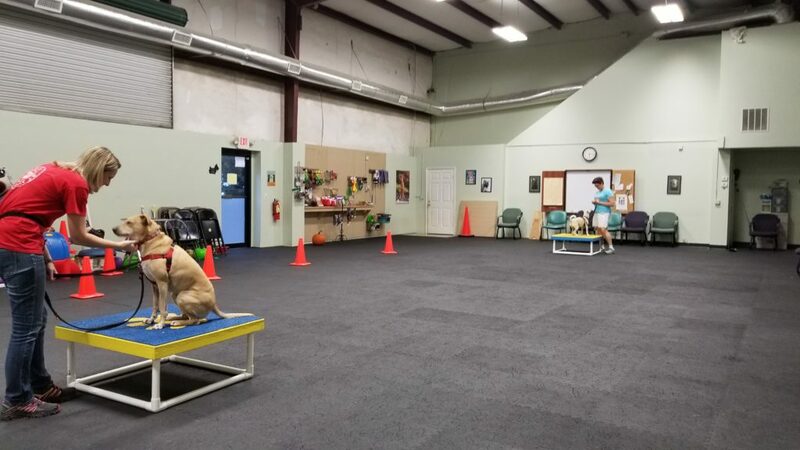 You will learn valuable tools to help your shy dog in new situations and this class will give your canine companion a wonderful opportunity to blossom into a more confident dog. A variety of positive and force free techniques will be incorporated into this course to help your dog learn that the world does not have to be a scary place! Age range: all ages. *Please note we only take a maximum of 4 dogs in this class. Dogs tend to find basic vet care and vet visits stressful (as do their owners). If you would like to prevent such stress and/or change how your dog feels about vet visits, this is the group class for you! This class will focus on reducing fear or force when getting vaccinations, getting on the scale, being muzzled, positive handling/physical exam, brushing teeth and more. Pre requisite: dogs must be friendly with people and other dogs.